It’s time. Whether it’s one too many repair bills or the need for updated equipment, if you use your car for your business or have vehicles for specific use in your business the day will come when you’ll need to replace it. Deciding whether to trade it in or to try to sell it for cash will likely be based on the amount you can get on a sale versus a trade-in, not to mention the time you will spend. There are also important tax factors to consider as you weigh your options. Here’s a quick overview of the complex tax rules that apply to what appears to be a simple transaction, and some pointers on how to achieve the best tax results. Overall, the sale of a business asset yields a gain or loss depending on the net amount you receive from the sale and your basis for it. “Basis” is your “cost” for tax purposes, and, if you bought the asset, it usually equals your cost less the depreciation deductions you claimed for the asset over the years. Under the tax-free swap rules, trading in an old business asset for a new, like-kind asset doesn’t result in a current gain or loss, and the new asset’s basis will equal the old asset’s remaining basis plus any cash you paid to trade up. The rules generally are the same for business vehicles, with a couple of extra twists. So, what’s best for you? The vehicle was used exclusively for business driving. The vehicle’s basis has been depreciated down to zero or is very low. The trade-in process often avoids a current tax. For example, if you sell your business vehicle for $9,000, and your basis in it is only $7,000, you will have a $2,000 taxable gain. If instead, you trade it in, a current tax is avoided. The trade-in means that the basis in the new vehicle will be lower than it would be if you bought it without a trade-in, but that doesn’t necessarily mean lower depreciation deductions on the new vehicle. 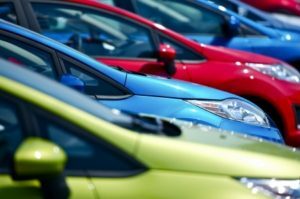 Thanks to the “luxury auto” annual depreciation dollar caps, when purchasing a car for business your annual depreciation deductions on the new car may be the same whether you sold the old car or traded it in. You used it exclusively for business driving and depreciation on the old vehicle was limited by the annual depreciation dollar caps. In this situation, your basis in the old vehicle may exceed its value. If you sell the old vehicle, you will recognize a loss for tax purposes. However, if you trade it in, you will not recognize the loss. Breaking this down, let’s assume a business person bought a $30,000 car several years ago and used it 100% for business driving. Because of the annual depreciation dollar caps, there is still a $16,000 basis in the car, which has a current value of $14,500. When this person wants to buy another $30,000 car, if the old vehicle is sold, a $1,500 loss will be recognized ($16,000 basis less $14,500 sale price). If the old vehicle is traded in for a new one, there will be no current loss. Again, if the old vehicle’s value exceeds its basis, the smart move on the taxation front is to trade it in, avoiding a gain. You used the standard mileage allowance to deduct car-related expenses. The 2016 allowance is 54¢ per business mile driven; For 2017, the allowance is 53.5¢ per business mile driven. The standard mileage allowance has a built-in allowance for depreciation, which must be reflected in the basis of the car. The deemed depreciation is 24¢ for every business mile traveled during 2016, and 25¢ for every business mile traveled in 2017. When you decide it’s time to make a change, the depreciation allowance may leave you with a higher remaining basis than the vehicle’s value. Under these circumstances, the vehicle should be sold to recognize the loss. Did you use your vehicle partially for business, partially for personal use? If you sell the vehicle, cost and depreciation must be allocated between the business and personal portions. Gain or loss on the business part is recognized; gain, but not loss, is recognized on the personal part. If you choose to trade it in, a special basis rule applies for depreciation purposes only. The basis of the new vehicle as computed under the normal trade-in rules is reduced by any difference between the depreciation that would have been allowable had the vehicle been used 100% for business driving and the depreciation claimed for its actual business use. If you’re thinking, “This all sounds so very complicated,” you’re right. Before taking that next step with regard to your business vehicle, whether selling, trading in, or leasing, please contact us to set up a meeting to discuss the best path for your specific situation.